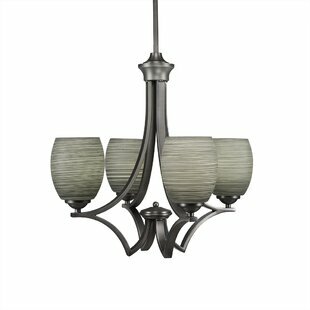 The "Quarry Collection" features a high quality plated finish, with matte opal white cone shaped glassware. 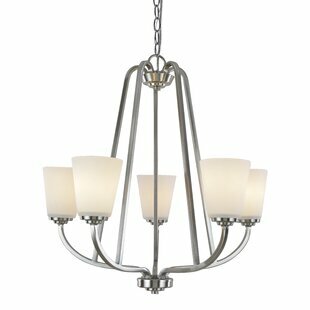 Clean lines through make this airy and pleasing to the eye. 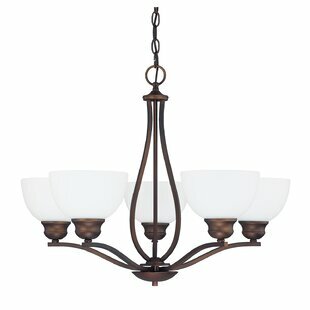 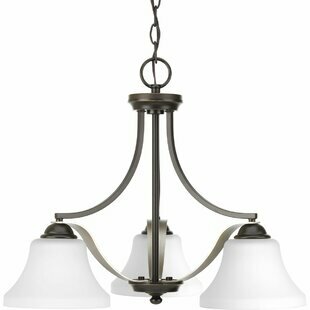 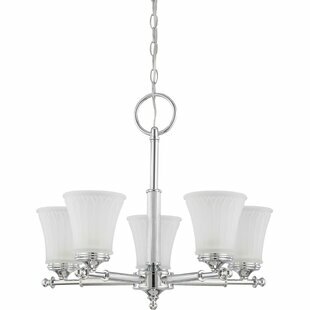 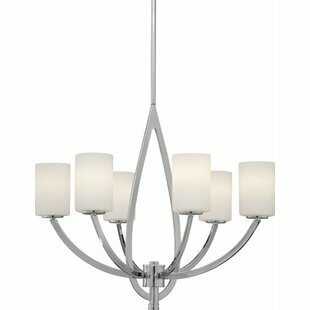 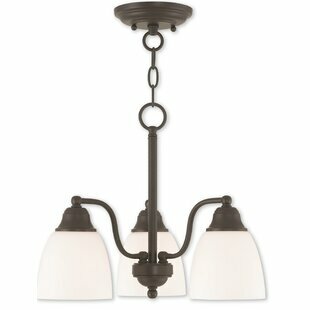 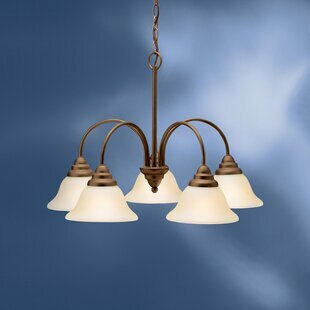 Number of Lights: 5 Fixture Design: Shaded Chandelier Adjustable Hanging Length: Yes Fixture: 24.5 H x 24.5 W x 24.5 D Overall Weight: 7lb.